Our attitudes surrounding the act of willingly dying with the help of a doctor have substantially changed since the middle of the 20th century, a new review published Tuesday in JAMA reveals — but the practice itself still remains very rare. The researchers scoured through surveys and publically available data from countries across the globe, including the United States. Here, five states have legalized physician-assisted suicide (PAS), where patients themselves physically take the medication meant to end their lives, beginning with Oregon’s Death with Dignity Act implemented in 1997. Other countries, such as the Netherlands, Belgium, and most recently Canada, have sanctioned euthanasia, where the physician personally ends the patient’s life with their prior consent, alongside PAS. The public support for euthanasia in the U.S. has increased over time, the researchers found, from 37 percent in 1947 to around 70 percent in 2014. While PAS is the only legal form of assisted dying stateside, its support hasn’t been nearly as high as for euthanasia, though it’s still over 60 percent. Interestingly enough, doctors themselves were generally less approving. In the U.S., only 54 percent were okay with PAS as of 2014, while other countries saw even lower percentages. “In general, white persons, men, younger persons, and the religiously unaffiliated tend to be more supportive,” the authors wrote. This acceptance hasn’t budged much since the late 1990s and has even taken a small plunge since 2005, perhaps reflecting some remaining ambivalence about assisted dying. In 2014, a public struggle by Brittany Maynard, a young 29-year-old woman with terminal cancer, to die with the help of a physician sparked torrents of renewed discussion over the practice, with harsh criticism of her decision coming primarily from Catholic-led organizations. She eventually managed to obtain care under Oregon’s law, and died of her own will later that November. Partly galvanized by her death, Maynard’s home state of California passed its own assisted dying law nearly a year later, which went into effect earlier this June. According to the study, unlike the U.S., acceptance in Europe has been more volatile. Although people living in Western European countries have steadily become more approving of assisted dying since the 1990s, the opposite is true for those living in Eastern European countries, which have become more religious in the years since the Soviet Union was disbanded. This is true even when the practice isn’t legal where residents live. The authors also concluded that the typical assisted-dying patient is white, well-educated, and contrary to popular belief, only sometimes in unbearable anguish. In the U.S., 75 percent of patients sought PAS because of their cancer diagnosis, while only 33 percent reported feeling unable to deal with their physical pain. 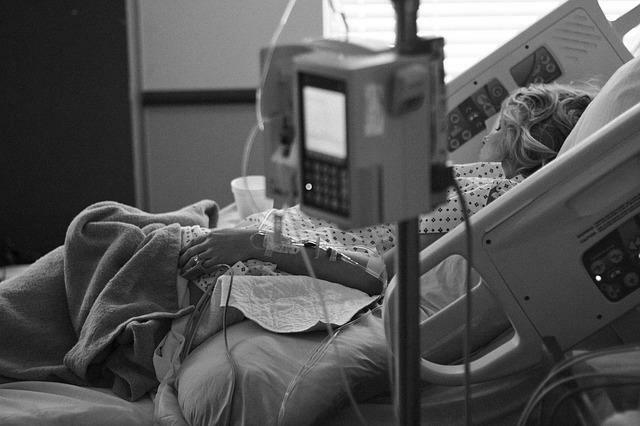 More often than not, patients chose to die because they were afraid of losing their sense of dignity and autonomy as well as being unable to enjoy life. The same trend held true in other countries as well. Lastly, despite the fears by some that legalizing assisted dying could open the floodgates and lead to a dramatic increase of deaths, especially by people who might not be able to comprehend their decision, the researchers found no strong evidence of either. While the frequency of physician-assisted suicides has predictably increased since legalization, less than 1 percent of physicians in Oregon and Washington State issue prescriptions for it annually. Globally, 0.3 percent to 4.6 percent of total deaths are reported annually as assisted dying cases in the countries where they’re legal. And only a small fraction of cases involved potentially vulnerable patients, such as minors and people with dementia. Source: Emanuel E, Onwuteaka-Philipsen B, Urwin J, et al. Attitudes and Practices of Euthanasia and Physician-Assisted Suicide in the United States, Canada, and Europe. JAMA. 2016.